Today I am sharing another pre-spring look as I like to call it. Ya know, when the weather can't decide if it wants to be warm or cool? 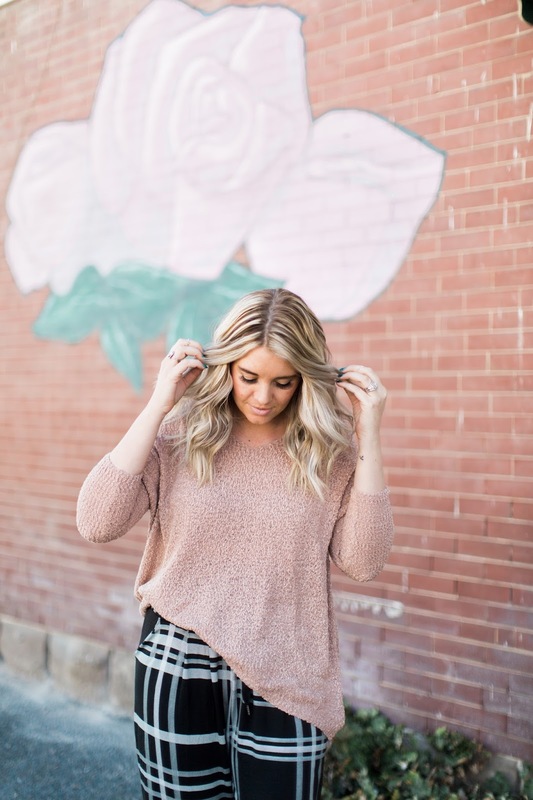 This soft rose top is pretty lightweight, but so perfect for a 65 degree day! I would even wear it with shorts for a summer night! 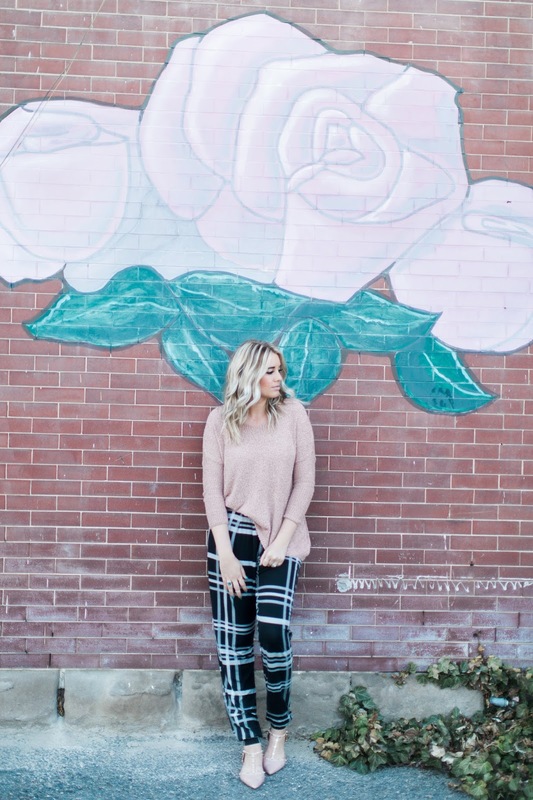 I love pieces I can mix and match and wear throughout any season! 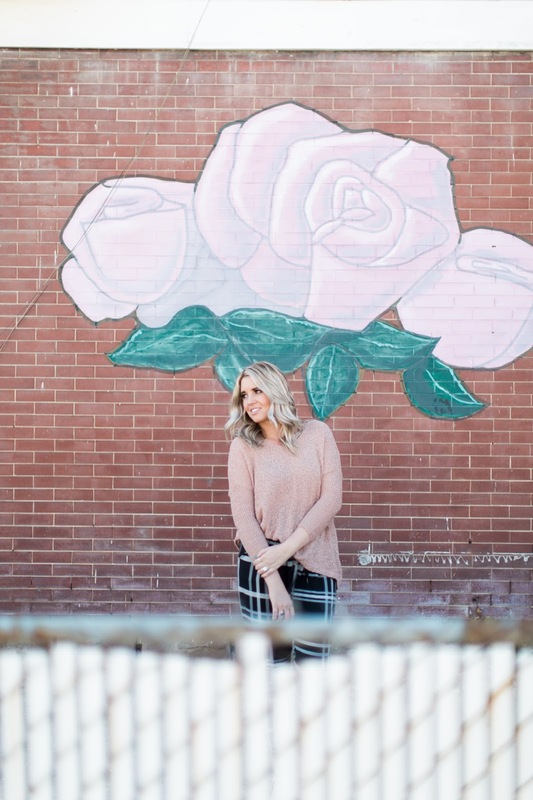 The soft rose color will mix into my wardrobe perfectly! This is my first pair of peg pants. It is sooooo hard to find some that fit me. They are either too long or too short. These are still a little longer than I would want, but they are so comfortable! Last, the shoes. THE SHOES!! These come in a TON of colors (see below) and they are actually really comfortable! I honestly don't have too many flats that I could wear all day, but these ones I can! I love these blush ones and I fully plan on buying a printed pair next! Have a great Monday people!